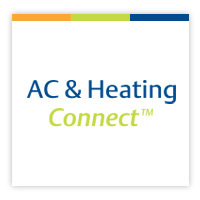 The HVACR industry continues to see advancements in electronic technologies and these advancements are quickly changing the game for contractors in the field. For example, when Emerson began transitioning from mechanical to electronic controls in refrigeration equipment in 2012 by replacing mechanical controls on Copeland™ condensing units with its Electronic Unit Controller, contractors and technicians quickly experienced the impact. Today, Emerson has more than 60,000 Electronic Unit Controllers installed nationwide on its new Copeland Scroll™ FFAP condensing unit and its currently offered Copeland Scroll™ Outdoor condensing unit (XJ Series), and it is easy to understand how everyone in the service channel benefits from this simple switch. The technology is designed to enhance productivity without sacrificing accuracy. Contrary to the traditional, 25-minute set-up time required for mechanical control switches, the Electronic Unit Controller requires only one minute or less. Wholesalers also see firsthand the impact the transition has made. For years, equipment and service problems were associated with increased cost and time. Today, electronic technologies, like the Electronic Unit Controller, eliminate common equipment problems and reduce callbacks, making it possible to provide unprecedented levels of customer service and support. 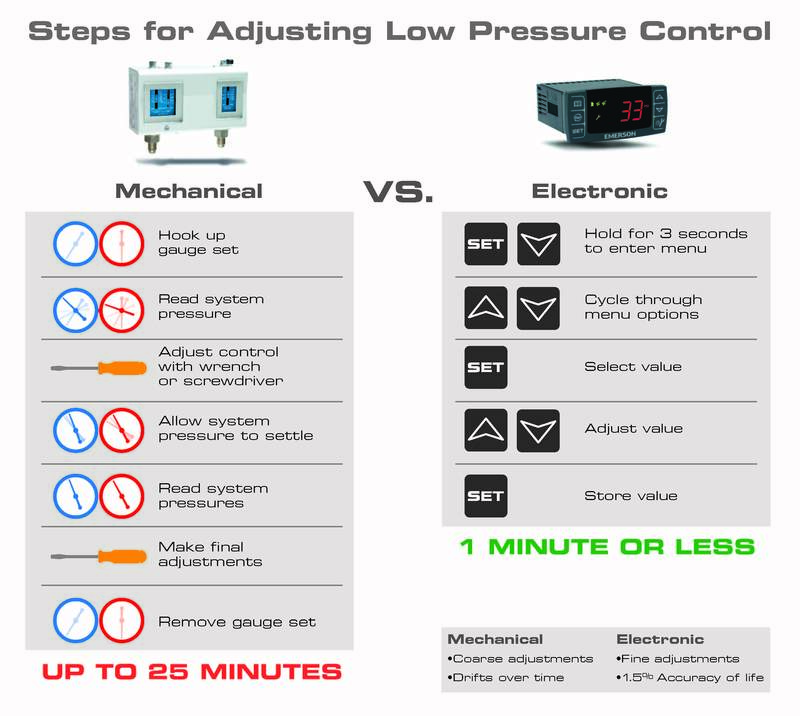 The graphic shows the simple, five-step process for adjusting low-pressure controls using an Electronic Unit Controller compared to the traditional set-up using a mechanical control. A tutorial for installing the Electronic Unit Controller can also be found here: http://www.youtube.com/watch?v=8HYx0OOWxdk&feature=youtu.be. Stay tuned for a new post next week, where contractors and wholesalers weigh-in on electronic technology advancements.